Yesterday the price hit the purchase level and went back. At the moment , judging by eur usd technical analysis, you should not close long positions. 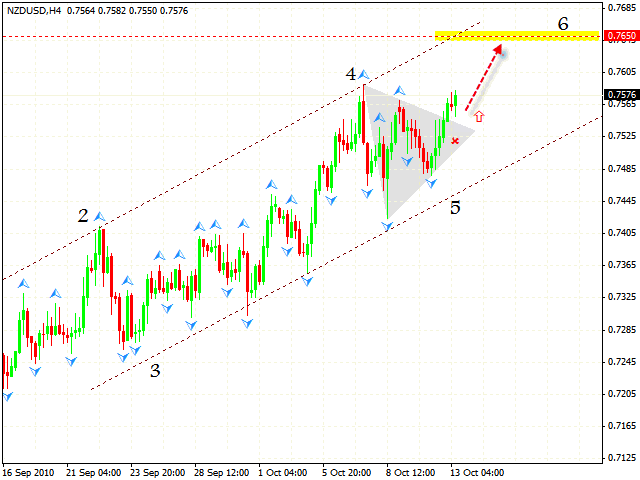 The closest target of the whole rising pattern is in the area of 1.4088. 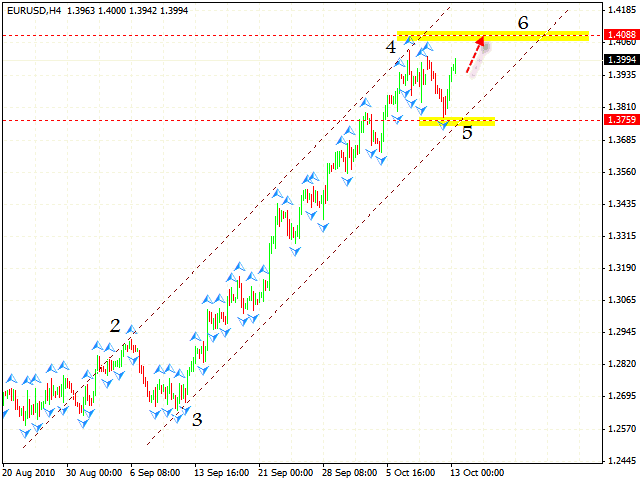 In terms of technical analysis gbp usd, we have two possible scenarios. We can see the descending pattern forming, the price has almost reached the level of the 5th point of reference and where it can start falling into the area of 1.5693. But if the descending channel is broken upwards, one can try to buy the pair with the tight stop and the target in the area of 1.6100. Franc went down quite unexpectedly without even testing the channel’s upper border. 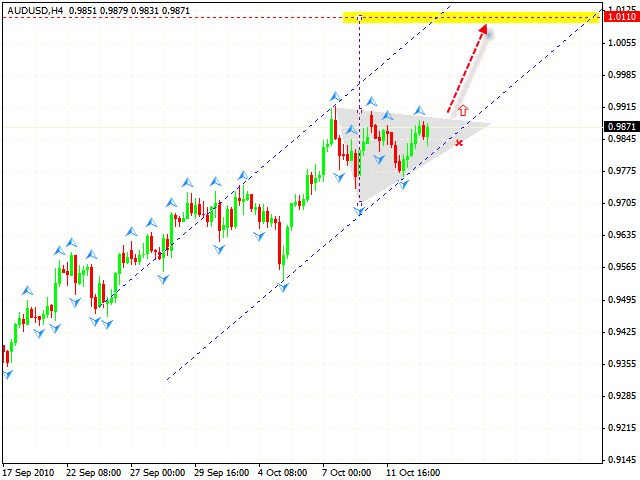 Judging by technical analysis usd chf, you can try to sell the pair with the target in the area of 0.9451. Canadian Dollar is moving according to the forecast usdcad. The closest targets are two. The area of 0.9937 is the target of the descending pattern. The area of 1.0025 is the target of “triangle” formation, the pattern of continuous trend. 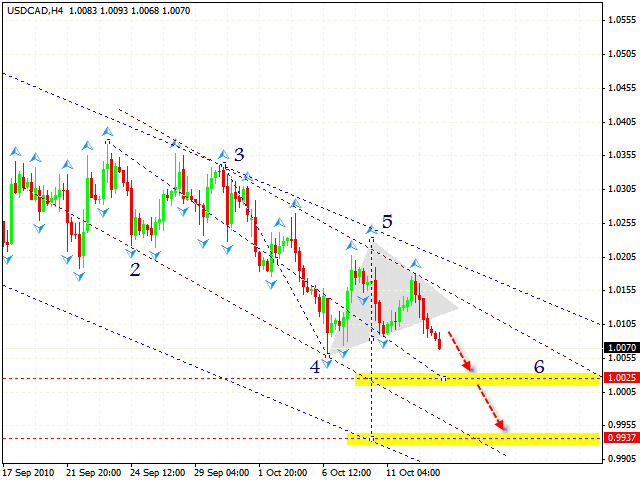 The daily online forex trading chart indicates that the price will fall into the area 0.9907. 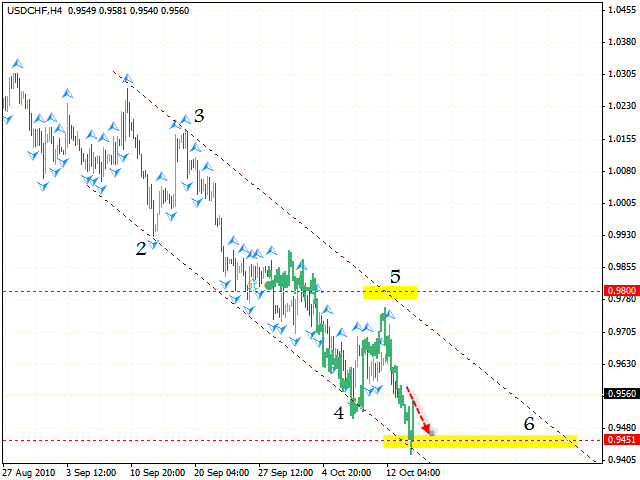 In case of the NZD/USD currency pair the price is also moving according to nzdusd forecast. Currently we should expect the final upward movement with the target in the area of 0.7650. An as we can see, the “triangle” has been broken, one can try to buy the pair with the stop below 0.7525. 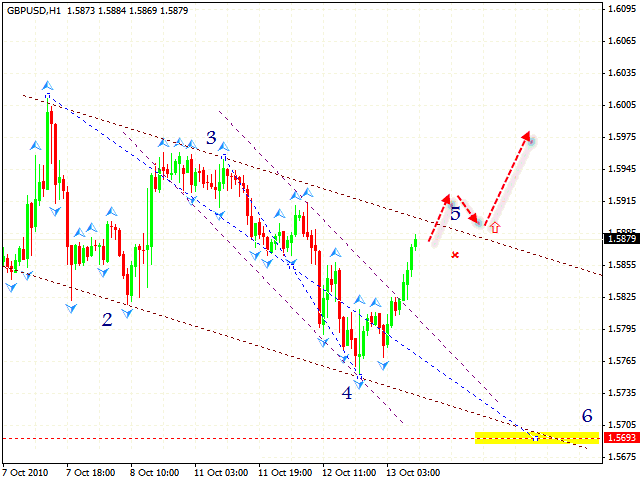 In case of the AUD/USD currency pair we have a quite good opportunity to buy it. After the “triangle” is broken, according to aud usd analysis, you can try to buy the pair with the target in the area of 1.0110. The stop must be below 0.9845. Aggressive trader are advised to open long positions even now.